Friday, April 26 Bossa Nova All Stars "The Music of Jobim"
Sunday, June 9 Christian Casolary Trio "Second Sunday Jazz At The Library"
Friday, June 14 Adam Robert Thomas and MAQ "Music Of Chet Baker featuring Brad Turner"
Spare, elegant, melodic, soaring, fierce - Vancouver’s Mike Allen has arrived as the country’s top jazz saxophonist. 2019 will include a tour of BC and Alberta to showcase their upcoming CD release “Celebrating Sonny Greenwich”. Mike was a member of Sonny Greenwich’s group in the 1990s, recording two albums and performing sold-out shows in Montreal and Toronto. Sonny continues to be a primary source of inspiration for both his unparalleled improvisations and his wonderful compositions. The current edition of the MAQ includes longtime musical associates Miles Black-piano&guitar, Steve Holy-bass and Dave Robbins-drums. 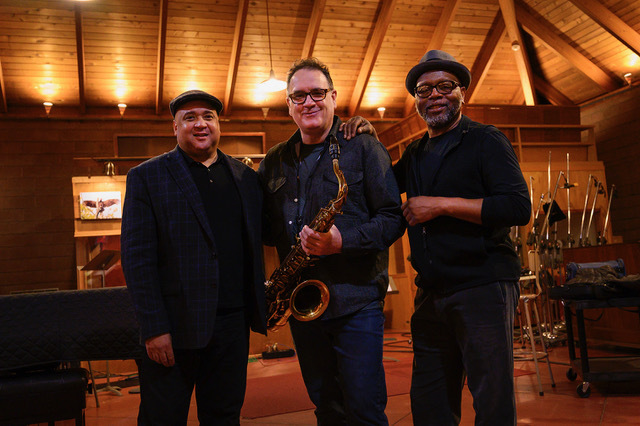 They have been frequenting stages in Vancouver and surrounding cities lately, rousing audiences with high-energy original music that has a spiritual element; conjuring the sound of John Coltrane’s classic quartet. 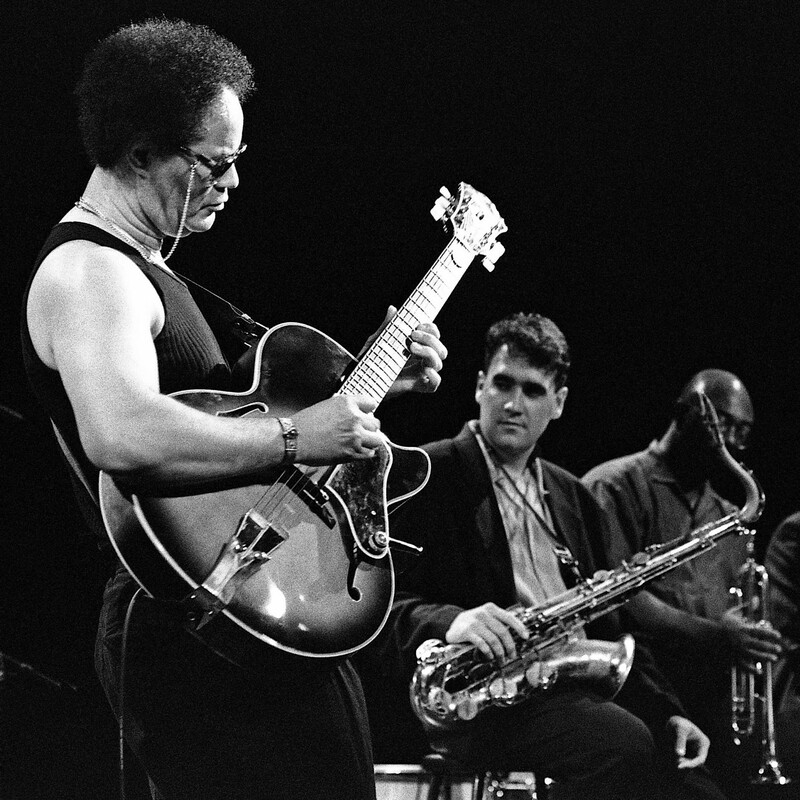 At their first international jazz festival appearance (Warsaw Jazz Jamboree, Poland-1988) the Mike Allen Quartet was joined on stage by members of Miles Davis’ band (Kenny Garrett and Eliane Elias) at Club Akwarium. Fast forward 30 years, hundreds of performances, 40+ full-length albums and 15 consecutive years hosting the Vancouver Int Jazz Festival jam session, Mike has enjoyed the honour of performing alongside Cedar Walton, Joe Lovano, John Taylor, Wynton Marsalis, Chris Potter, Robin Eubanks, Gary Bartz, Antonio Sanchez, Branford Marsalis, Eric Harland, Kamasi Washington, and Chucho Valdes among others. Allen’s tone is as pure as that of Joe Henderson. His aesthetic habits come straight out of a blue-chip tenor tradition: from Joe Lovano back to Coleman Hawkins and into his primary inspiration, John Coltrane. 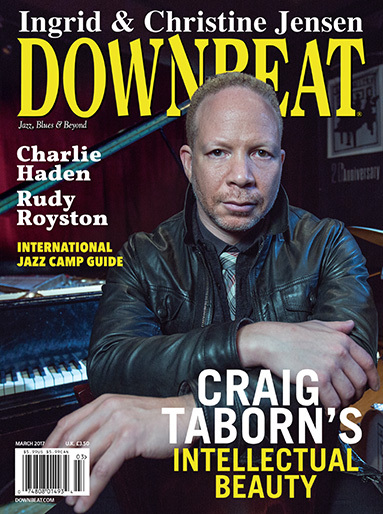 An accomplished musician who has studied Coltrane in depth and forged a style that is fresh and vital. 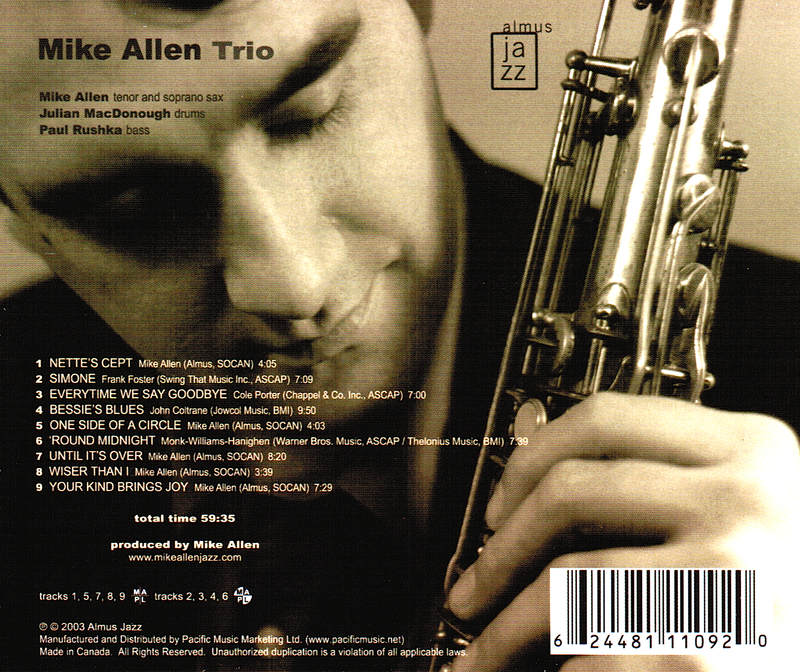 Allen’s true strength is his ability to pace and phrase his solos in a way that draws a listener into the music. “Bob’s Piano” CD (ALM 16306) is now available! Pianist Miles Black and I have been making music together for more than two decades. From big bands to nonets, duos, trios and quartets, we have performed and recorded all over Canada, the Pacific Northwest and in Finland. On the new album we honour our friend and colleague, Bob Murphy. In addition to the six tracks of Miles and me, the album includes four tracks of Bob and myself recorded just a few months before Bob’s passing, plus several of Bob’s most recent compositions. All the music was recorded on the wonderful piano in Bob’s home studio. Mike plays and endorses Yanagisawa saxophones (T991-S, A991-S and S991-S). He also plays a 1957 Mark VI Tenor Saxophone.